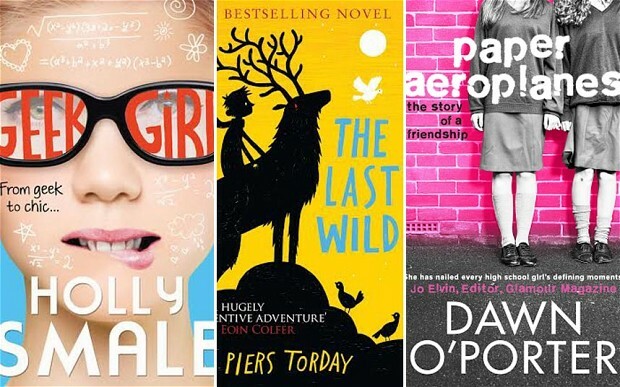 Broadcaster Dawn O’Porter (for her debut coming-of-age tale Paper Aeroplanes), American TV writer Erin Lange (Butter) and Holly Smale (Geek Girl) are on the shortlist for the Best Book for Teens category. Performance poet Laura Dockrill (Darcy Burdock) is up against Call the Midwife actress Emerald Fennell (Shiverton Hall) in the Best Fiction for 5-12s category. The winners will be announced at a reception at Waterstones Piccadilly on Thursday 3 April. The winner of each category will receive £2,000 with the overall winner picking up an additional £3,000.